We need to spend time and little money to read some well-known financially education books to enrich our knowledge. 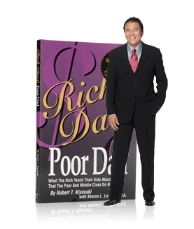 Business Minded People such as Robert Toru Kiyosaki, is best known for his Rich Dad Poor Dad (RDPD) series of motivational books and other material published under the Rich Dad brand. b) The Poor has little to spend and little time to think due to workings and busy making earning. Solution : The Poor need to locate time to be Financially Well-Educated that working smart rather than working hard. First step to do is to know how to do Budget. Without budgeting, it's more often that we spend more than we needs. Well, for the rich, it is quite the same thing.... they have RM20,000 per month, they would probably do some investment and some spending. Basically, RDPD is a motivational book and not an investment book neither a strategy book. When RDPD starts to sell something, it is actually RDPD business income. Where would the poor gain? The Poor would not able to get out from the problem. Solution : Now, the Poor needs to know the differences of being a Worker, Self-Employed, Employer and Investor and make the changes. The Poor must turn themselves into a self-employed or employer once he or she has captured the skill from the market where there is a demand for it. Read more ideas from the internet and get some ideas on how to do business and serve the customer. I, myself has read plenty, that it educates me well enough to write something about RDPD. RDPD is actually saying turning ourself into self-employed is better than being a worker, being an employer is much better than being a self-employed, being an investor is much much more better than employer. A worker is able to generate the money for one to two person. Self employed is able to generate the money for one whole family members. Employer is able to generate the money from one whole family members to hundreds of people. 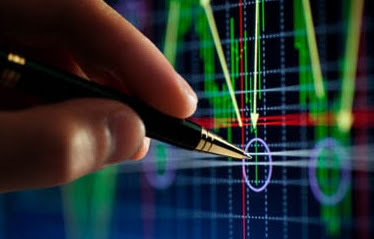 Investor is able to generate the money out of the invested money without spending much time on it. It is about the skill of making money, business minded would be the key word. There is one weird situation where big corporate "BHD" is making big losses, but able pay dividend or salaries for the top management. Basic instinct tell me that, the top management get paid while sleeping at their job. Basically, RDPD always has good news to share, but for the Poor they are always happy to hear other people success and never be able to "copy-cat" the success from the Rich. RDPD is actually expert in the Real Estate which he may learn it from Donald Trump, at the same time being a teacher himself would need to translate the message to the student that he is a teacher. Making both types of income to secure himself financially. Solution : The lesson here is non other than, polish our skill and make money from it. That's the message. Stop subscribe RDPD if we are not into Real Estate or Writing Books. Pay more attention for our skill that really makes money. Basically, Does Rich always mean financial freedom? Solution : We might pay monthly maintenance for our car, house, traveling, or any luxury items. 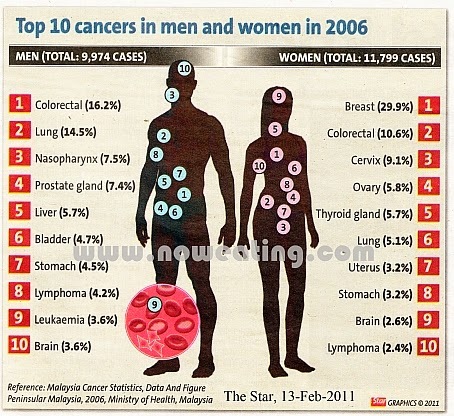 Are we really pay more for other physical maintenance, without taking our own physical body maintenance from top to toe? Start to get involved in a healthy and active life without the needs to develop future worries. Basically, does "RICH" translate into "FINANCIAL FREEDOM"? Solution : How "Invest more on higher Return" has become a illusion phrase for the poor, while "invest more on the lowest risk" for the rich. What's RDPD is expressing is that accumulating Assets in the best effort of reducing risk of being in debt or liabilities. One word, RDPD means business. While business is an assets if able to generate income monthly. Kindly open up our mind and start to discover what really works for us from stage to another stage.